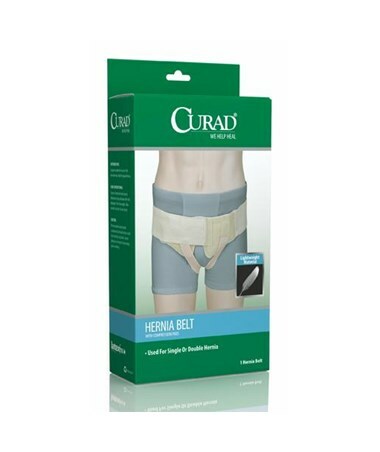 Curad's Hernia Belt fits comfortably and discreetly underneath clothing and is an extremely useful tool when it comes to providing much-needed support to a user's herniated area. It features a hook-and-loop closure system that allows the user to adjust the apparatus as they see fit. Made of a lightweight elastic, the belt is designed for single or double hernias and is latex-free. 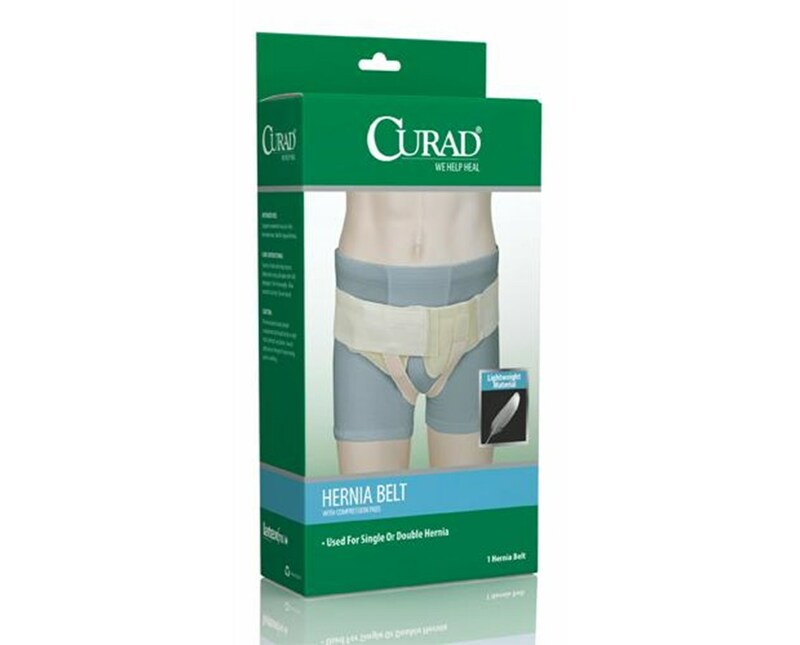 We offer Curad's Hernia Belt in three sizes, sold individually. Select from the drop down menu above.